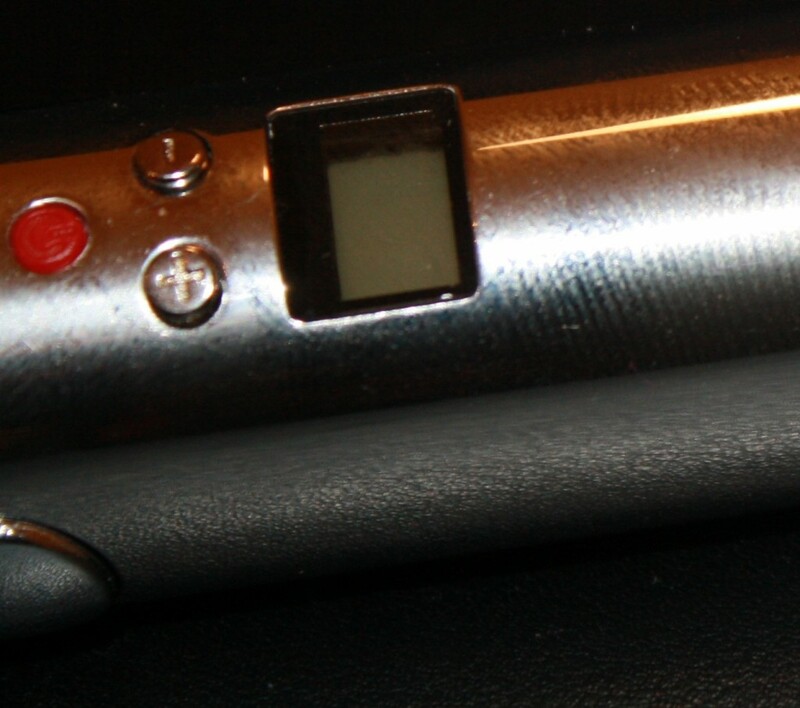 Variable voltage e-cigarettes seem to be the next big thing in the electronic cigarette industry. What started out as a hobbyist sort of thing, first grew into a handful of boutique vendors manufacturing high-end devices. Now, it seems like every large factory out there has some sort of take on the variable voltage e-cigarette. Sometimes it’s hard to tell what features matter when choosing a vari-volt ecig, so here’s five features worth considering. Keep in mind, this isn’t a must-have list, there are probably features some people care about more than others. Rather, this list breaks down some of the features to help you decide if they are important. Perhaps price or a small size is more important that a display, for example. Or maybe you aren’t a fan of dual coil cartomizers, so a high amperage circuit isn’t a huge priority. 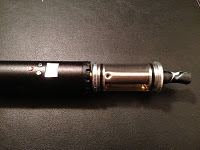 If you’re still a little hazy about the why or what of variable voltage, check out my primer on advanced e-cigarettes. 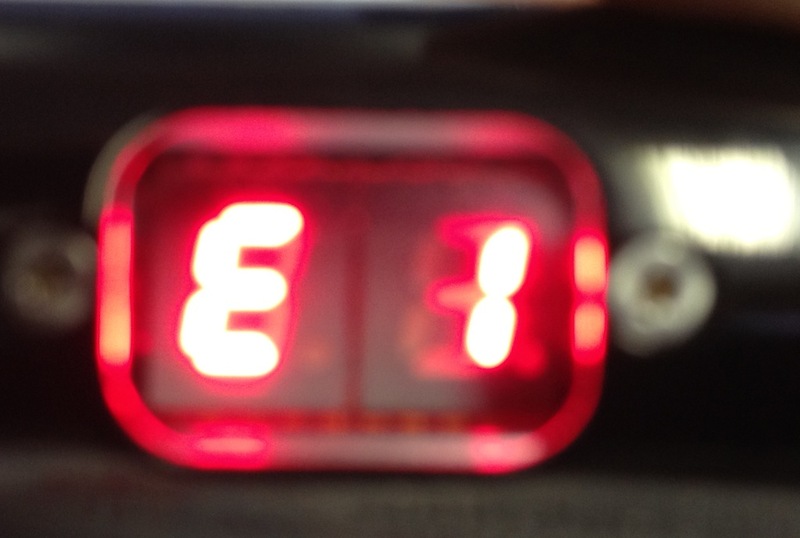 Voltage range is the measure of how far up or down in the voltage spectrum you can adjust your device. Most variable volt units will have a range from 3.0 to 6.0 volts. While being able to go all the way down to 3.0v doesn’t have a lot of uses, the ability to go to 6v is helpful if you have gear with resistances above 3 ohm. Some good units, like the eGo Twist don’t go up to 6v, but are still decent models. A number of inexpensive units, however, may only get up to voltages somewhere in the 4 volt range. In fact, most of the less sophisticated e-cigarettes that have a very low top-level output tend to limit the voltage selections altogether. Those devices are more like selectable voltage units, letting you pick for 3 or 4 voltage settings. Better gear typically allows adjustment in .1v increments. This is useful for fine tuning the power output to provide the best vapor. This is perhaps one of the features on the list that people may feel strongly about. Some people could care less about a display screen on their e-cigarette, while others wouldn’t know how to live without one. A lot of devices on the market feature screens of some sort (with the quality varying widely). Other devices (again, the eGo Twist) are very capable, but lack any sort of display. The return there is a smaller device. Screens can be a useful feature. Every model that has one uses the screen to indicated the selected voltage and provide a visual indication when you are adjusting voltages. Other uses of display screen include displaying technical information about battery levels, resistance and other details, to the puff counter that’s found on the Innokin iTaste. A high amp output, even more so than a display is a feature that not everyone is going to care about or need. Most devices on the market are capable of handling 2.5 amp of output. This level of performance meets the needs of 90% of people. There is basically one reason for higher output circuits – dual coil cartomizers. Dual coil cartomizers are strange beasts. To make a long story short, they need a ton of power to perform well. The average device with a 2.5a circuit can run one of those cartos at around 3.7-4 volts. However, when run at 4.5v and above, the dual coils really open up and provide a unique vaping experience that fans of the technology love. A few variants of the Lavatube design can support this configuration. The Variable Volt Gripper with a 3 amp circuit can run dual coils around 4.5v while the ProVari with a 3.5a switch is good for about 4.9v of power delivered to the cartomizer. Unlike the last two entries, consistent output is probably one of the most important factors. It also seems to be one of the most difficult to attain. As batteries drain, they start delivering less voltage. In an ideal world the personal vaporizer would compensate for this, maintaining the voltage set by the user until the battery is completely drained. The reality is, most devices don’t. As the battery drains, so does the voltage actually delivered to the cartomizer. Some devices are worse at it than others. Among the variable voltage e-cigarettes I’ve tested, there are only three devices that are able to keep things constant the whole way through. Interestingly, they are on opposite ends of the price spectrum. The wallet-friendly eGo Twist and Super Variable Voltage eGo, and the ultra high-end ProVari both excel at keeping an even keel. To be honest, this list is a wish list. Of the devices I’ve tested, only the ProVari is able to check all the boxes. You can check out the review here, or find out more about pricing and options over on ProVape’s site. However, that certainly doesn’t mean other devices I’ve reviewed are inferior. Beyond the five things I’ve listed here, there are likely other things you’ll want to consider in your purchase. Price, size, design and reliability all play a factor in making a decision about what is right for you. Below, I made a handy table that lists some of the better devices I’ve reviewed and which of the five things on the list they have. Click the name of the device to visit my review. Update: This article incorrectly stated the Super eGo did not have a consistant output, which is incorrect. It has a small voltage drop during use, but output is consistant throughout the battery cycle. What Steve is saying is Just buy a ProVari and be done with it. Usually most vapers waste at least $500 dollars on various mods trying and hoping to get what they want . Only to be disappointed and let down by false promises. The ProVari is one of the oldest mods out there and only up to version 2 after many years it is still the most dependable. Eventually almost everyone, finally buys one after wasting lots of money on look a likes. The preceding is my opinion. The V-Max is a look a like but cannot be controlled well. It hits like 5volt even@3volt. Also has stacked batteries. Well.. not exactly :) The ProVari is my daily driver as it were, and I love it. But, if there's one thing I learned in the past year or so doing this blog is that folks really do have different likes and dislikes. Many people, for example, love the Twist because it is small and simple and performs well. But, when it comes to something that has all the bells and whistles, the ProVari is pretty hard to beat and like you said, it has withstood the test of time. What about VMax in this compare table ? There are probably a few that are missing from the table, such as the Vari Stack. There are so many options out there now, that I wasn't able to include them all. As far as the VMax, I never reviewed it, so I don't have any information to go on. Interesting..I am running a 650 mAh Twist @ 4.0 volts on a 1.8 ohm self made coil and the voltage under load is pretty much spot on throughout most of the battery discharge. Any chance of adding a comparison of the PWM YoungJune Lavatubes? In UK they are sold as version 2.1 but I think in US they are sold in variety of names like Lambo, iVape varitube X etc.,.Possibly the Lambo is a further evolution or made by someone else as it features a 5 second press on-off sequence rather than the varitube 5 click. Very interesting and balanced reviews and I really enjoy reading them, so thanks. I have a VV Woodvil (Reo)….it's not fancy but vapes better than any mod I've ever had- does not have a digital display…but I love it!! I use the rectangular voltage meter screwed into the atty well to tell voltage but I really don't need that…I just set it and use a 2.3ohm Joye 510 atty and it works great!! !